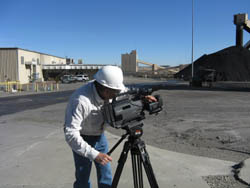 Need world-class video production services in southwest Colorado? 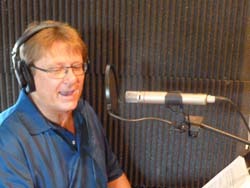 Southwest Video Productions has more than 30 years of experience! Southwest Video Productions provides high quality, professional, cost-effective video services and our primary goal is to exceed every aspect of client expectations. Since 1984, we've offered full-service video solutions to Southwest Colorado, including Durango, Cortez, Telluride, Pagosa Springs and Farmington, New Mexico. 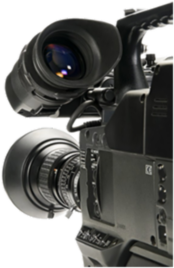 Southwest Video Solutions specializes several types of video production services including legal, training, promotional and marketing. We are ready to help with any or all aspects of the video production process from initial planning through post production and final delivery. Questions? Get in touch. A good video planning process helps minimize time and costs. 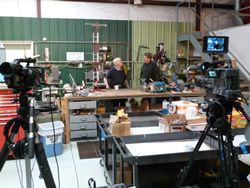 At Southwest Video Production, our planning process is designed for collaboration and comprehensively covers all the details and considerations unique to each project. This is time well spent on the 'Front Side' and can be good fun. With a good plan in place, filming should be a breeze. Our high quality camera equipment, lighting, sound gear and experienced operators will take care of the technical aspects of your project. This same creative and friendly film crew are also great at helping the on-camera talent be as comfortable as possible. Our teleprompter can be pretty handy too. We'll crank out the first draft of your project quickly and efficiently in our hi-tech, post-production facility. You can even hang out and play producer (or co-producer) during post-production of your project. If you can't be with us during post-production, we will post project drafts online and gather your feedback along the way. Our virtual option gives you the ability to edit via web conference. Yes, we are extremely technology savvy. We support all video delivery formats, including DVD, Blu-ray and VCR (yes, we can still do that). Put simply, your wish is our command. Our DVD authoring services can produce anything from single movie to multi-level, interactive menus and everything in between. Already have video that needs some additional love or a project that is still in process? We're happy to help get you to the next step or help you wrap it up and kick it out. © 2019 Southwest Video Productions. All Rights Reserved.